Exploring the science and theory surrounding holistic living. With a focus on ways to live in a way that maintains a healthy ecosystem in the body. Looking for Dahlia Bee Products? Order products on our brand new online store hosted by Storenvy! 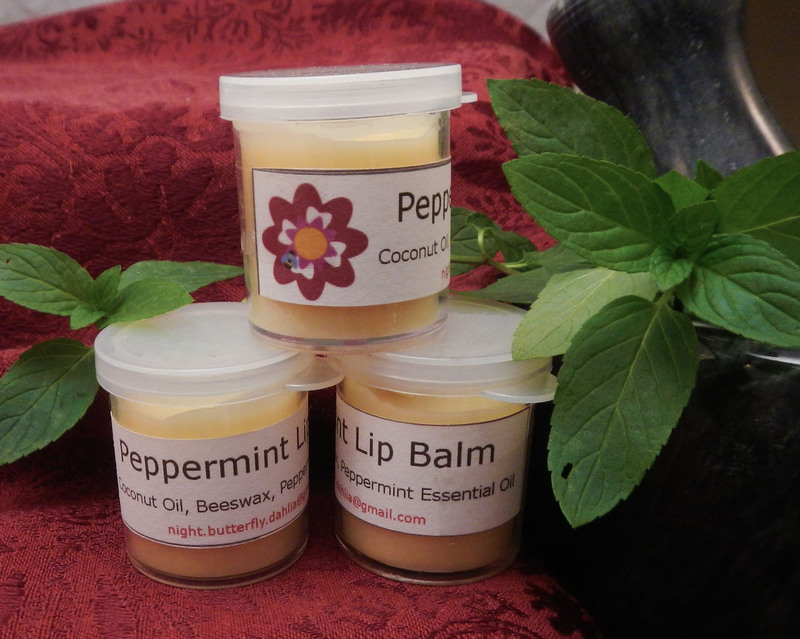 If you have a particular skin ailment you are trying to treat, or have a particular scent you like, custom products can be negotiated. Contact me by email for details. Please note that while my products are effective they are not a substitute for medical attention. If you have serious skin problems you should consult a physician, especially if those problems are potentially life threatening. 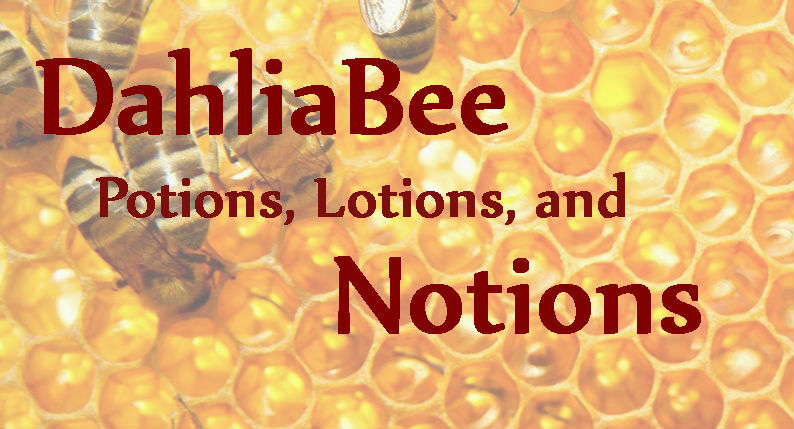 For updates on events we will be attending, as well as interesting sources and articles about the science behind Dahlia Bee products, please visit our Facebook Page. 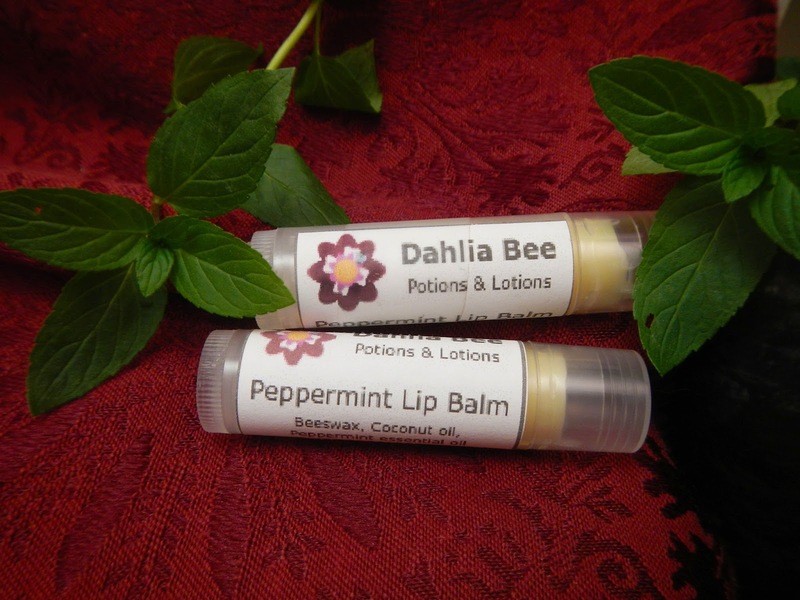 Free of petroleum and perfumes, this limited ingredient lip balm is extraordinarily hydrating with a light, cool mintiness. Coconut oil is not only hydrating, but has a SPF of fifteen, which is perfect for protecting sensitive lips from sunburn. The oil also has natural anti-microbial properties which prevents blemishes and encourages cracks to heal naturally. The beeswax helps to seal in moisture and protect the delicate skin from becoming dehydrated over a long period of time. Use: Apply liberally as needed. Depending on conditions, a single application may be effective for upwards of eight hours. For best results, use lip scrub beforehand to remove dead skin and build up. 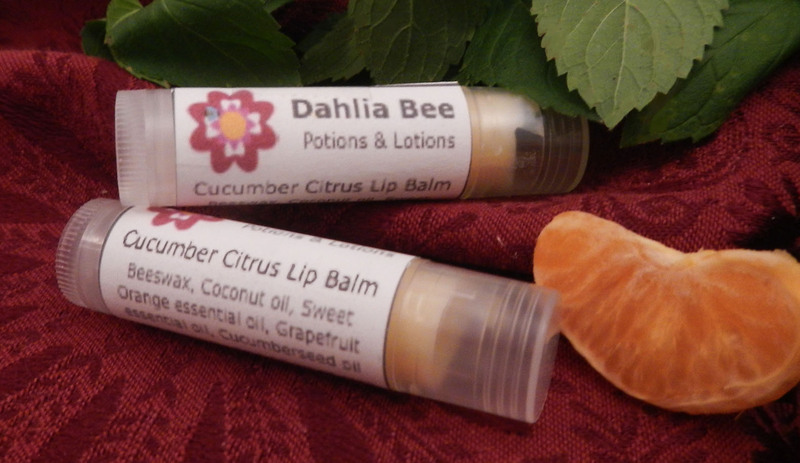 The extraordinary healing properties of cucumber seed oil are utilized in this mild and limited ingredient lip balm. Ideal for those who experience severe cracking and harsh weather conditions. Cucumber seed and coconut oil are nourishing for the skin and promote healing. Grapefruit oil works with the coconut oil to fight off microbes such as harmful bacterium and blemish causing viruses; not to mention adding it’s scent to the sweet orange oil for a fresh and pleasant aroma. Beeswax seals in moisture and protects the delicate skin from becoming dehydrated over long periods of time.